Somebody attack you face? loooook at them and stare like a weirdo...Only usable after somebody attacks you. 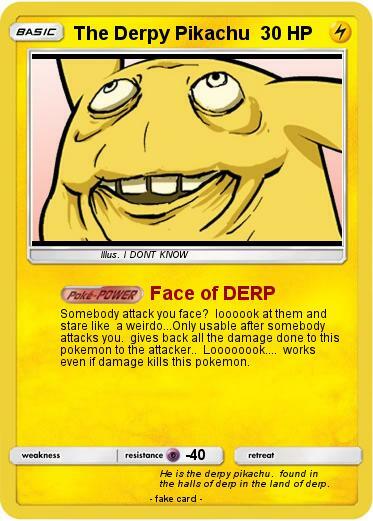 gives back all the damage done to this pokemon to the attacker.. Loooooook.... works even if damage kills this pokemon. Comments : He is the derpy pikachu. found in the halls of derp in the land of derp.